Good news. SB761 has been made a two year bill and is dead for this session. This is the bill that required employers with 10 or more employees to provide 6 weeks unpaid family leave. Small Business California worked hard to stop this bill. Yesterday our Board met. Besides transacting Board business we had the opportunity of talking to Angie Wei the top legislative person for Cal Federation of Labor. She thanked Small Business California for being the first business organization to support AB 863 the workers compensation reform bill of last year . She also thanked us for being the first business organization opposing 623 which would have unraveled some of those reforms. She is also working on the massive problem of California Unemployment Insurance debt. As I think most of you know Small Business California is part of a task force put together by Marty Morgenstern the head of the labor agency. With all the bad news about job creation in California I thought you might find the below interesting. SACRAMENTO – GO-Biz Director Kish Rajan today announced that California has received Area Development Magazine’s ‘Silver Shovel Award’ for excellence in job creation, for the first time since the award was created in 2006. The award is based on projects submitted by GO-Biz that demonstrate California’s growing ability to create high-value jobs and ranks California among the top states in the nation for job creation. As part of the criteria for the award, participating states must submit information about their top ten job creation and investment projects, which are compared to projects in other states with comparable populations based on the number of high-value added jobs per capita, amount of investment, number of new facilities, and industry diversity. Area Development recognized the Samsung Semiconductor expansion in San Jose as the second most significant manufacturing project in the nation. California projects submitted for the award spanned the entire state and included such industry leaders as Sutter Health (Roseville), Amazon (San Bernardino and Patterson) Caterpillar (Kern City) and more. The California entries were all signature GO-Biz projects that required significant staff time and resources to complete. The Award will be presented to GO-Biz Director Rajan and will be on display at their offices in Sacramento. A report on the 2013 Shovel Award winners will be published in the Spring 2013 issue of Area Development and are posted online at www.areadevelopment.com/awards. View this GO-Biz Press Release online HERE. allows an employee the right to file a civil suit and collect attorney fees. Please see below amendment. It must pass this week on the Senate floor or it will not be taken up this session. (f) An employer who regularly employs 10 or more individuals, or an agent of that employer, that discharges or in any other manner discriminates against an employee who has been employed by him or her for 90 working days or more because the employee has applied for, used, or indicated an intent to apply for or use, family temporary disability insurance benefits under this section shall be liable to an employee affected by the unlawful violation for actual damages and appropriate equitable relief, including reinstatement. An employee may bring a civil action seeking these remedies in a court of competent jurisdiction. If the employee prevails in the action, the court may award the employee reasonable attorney’s fees and cost. AB 837 which is sponsored by Small Business California passed in the Assembly by a vote of 74 to 0. This bill will codify the SBDC program and is a first step in getting California to put forth funds to match the SBA funds. We are watching small business relevant bills and you can see our positions by going to our website at www.smallbusinesscalifornia.org. All bills must pass their house of origin this week. In a previous email I said that May23 Covered California[Exchange] was going to release information on how individual policies would work and the rates. They did not release information on how the small group program[SHOP] and as best as I could tell they only provided rates for families. The small business group will be released in early June. The numbers cited below are average around California and the 19 regions how somewhat different rates. If you want the rates by region and a broader description of how the plans will work let me know. Hi Scott – Just wanted to make sure you and your members saw this info on the California marketplaces. Feel free to forward to any interested parties. In 2009, the Congressional Budget Office predicted that a medium-level “silver” plan — which covers 70 percent of a beneficiary’s expected health costs — on the California health exchange would cost $5,200 annually. More recently, a report from the consulting firm Milliman predicted it would carry a $450 monthly premium. Yesterday, we got the real numbers. And they’re lower than anyone thought. Sparer plans are even cheaper. 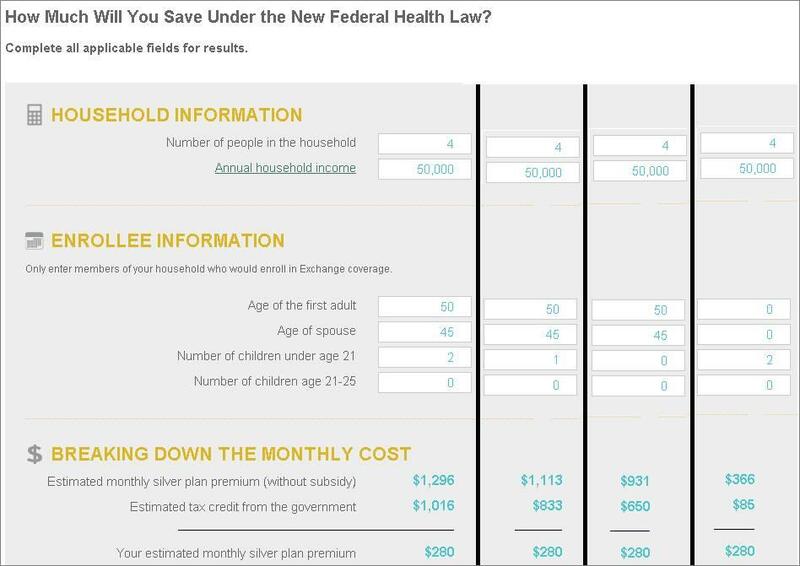 A young person buying the cheapest “bronze”-level plan will pay $172 — and that, again, is before any subsidies. What are your thoughts on this ? Do you use any of these companies? I’m writing a blog post on PayPal’s “Cash for Registers” program tomorrow morning and wanted to get your thoughts on it. It seems like a year ago we were writing about how mobile devices were going to change how small business took money. Today there are more options than just Square. My initial thought is this is good for small businesses because you have companies like PayPal, Square and Groupon competing for their attention and hopefully keeping transaction costs down. Do you think this is the case? What have you been hearing from other small businesses? On Thursday there will be a big announcement on Covered California[ Exchange]. It is my understanding that they will announce the plans available and the rates for those plans. I will try to get you more information in the next couple of days. On October 1 2013 all employers will be required to give employees model notices about Exchanges. In California the Exchange is called Covered California.. There are two separate forms. One is for employers who provide health insurance and another for employers who don’t. The forms are currently available from the Department of Labor. It is not clear whether California will come up with its own form. Detail how employees may be eligible for a premium tax credit or cost sharing sharing reduction if the employers plan does not meet certain requirements. You have all heard that employers with 50 full time employees or full time equivalents will be required to provide a qualified health plan or pay a penalty. The penalty is $2000 if the employer does not provide insurance or $3000 if they do provide insurance and the cost is 9.5% or more to the employee. Full time employees are defined as 30 hours a week. The fine will only be applied if the employee purchases insurance through the Exchange with a subsidy. 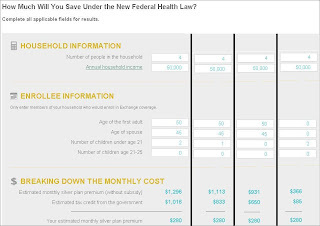 For people interested in getting an estimate on the cost of individual coverage in Covered California go to www.coveredca.com. For those of you in San Francisco and subject the Health Care Security Ordinance it is not clear how this will reconcile with the ACA. We know that the coverage provided by SF is not insurance. We also believe that money an employer puts into the medical reimbursement account cannot be used as pretax dollars for an employee to purchase insurance. The City attorney is looking into this. The City Attorney is also looking into how employer payments can be provided to employees for medical and dental cost by employers. Time is running short for the answers to these questions. I am pleased to report the AB 837 passed unanimously in Appropriations this week. This bill will codify Small Business Development Centers and is a step to getting funding to meet the SBA match.SB Cal put together a coalition of 25 business associations supporting this legislation. I gave a speech yesterday to the California Metals Association and it really is clear to me that small businesses need to understand more clearly the Affordable Care Act. Please see SBA call on this. If you have 50 employees what is the threshold you have for employees qualifying for medical coverage. My guess is that it is more than 30 hours. This is important because under ACA 30 hours is the definition. Do you have employees that work 30 hours that are not on your medical plan? This month, SBA staff will discuss updates in the Affordable Care Act implementation and the SHOP marketplaces, along with previewing National Small Business Week. Please pass this on to your leaders, members, and any others who may be interested. We hope you can join! To Register: Please email Chris Van Es at Christopher.vanes@sba.gov. Call-in information will be sent to attendees Tuesday morning. I have done some things in my life that I am really proud of. 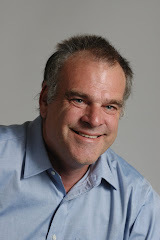 Founding Small Business California and the SF Small Business Advocates are a couple of them. But there is nothing I am more proud of than my work with Volunteers in Medicine and cofounding Clinic by the Bay. All of our clinics are free clinics. In 2012 we served 96089 patients and had 362203 patient visits. The cost per patient was $288 and per patient visit $80. Compare that to the cost of the emergency room. I think this is truly remarkable given we do not accept any government money. On May 29th Clinic by the Bay will be holding its spring fundraiser. The cost of tickets start at $100 and we will have a silent auction. For those of you in the SF area I hope you will attend. You can purchase tickets by going to our website www.clinicbythebay.org. Click on Events. If you can’t attend a contribution of any amount would be greatly appreciated. You can do so online. Thank you for your consideration and if anyone in the SF area is interested in volunteering please let me know. If you know a doctor or nurse that might be interested in volunteering please let them know. We just received word that Assemblywoman Skinner’s SB 769, which eliminated the Net Operating Loss Carryback provision in California’s tax law. has been pulled by the author. It is an urgency bill so could come back this year but it would have to pass by a two thirds vote. Small Business California put together a coalition of 27 associations opposing this measure. Thank you to all that signed..
Last Friday I sent an email asking your position on SB 761. This bill would have required small business under 50 employees to provide 6 weeks Paid Family Leave. The threshold for employees would be $300 per the base period. Failure to do so could bring about a lawsuit or complaint to the Labor Commissioner. Lori and I related the results to the Senators office and said that the tax on employees who are not eligible for the same benefits as employees of businesses over 50 should not have to pay the tax. The Senator has until May 31 to get this passed in the Senate. Thank you to all that responded. I have mentioned in previous emails the requirement for all businesses with employees to have an Injury and Illness Prevention Plan. If you do not have one in writing please see materials to help you do so. Small Business California is part of the Advisory Group that developed these material. On Monday Lori and I will be meeting with Senator Desaunier's office regarding SB761.The bill is currently on the Senate floor. I will make the legislation as simple as possible and would really appreciate your feedback. Under the California Family Rights Act which currently exist in California an employer with 50 or more employees who have worked 1250 hours is required to provide paid family leave for 6 weeks. If they fire the employee or don’t allow the employee to return to their job the employee can file suit against the employer. Please understand that the employee is receiving these funds from money they have contributed so the employer is not paying for this. One of the arguments the author makes for this is that employees that work for companies with less than 50 employees are not eligible for these funds even though they pay into the fund. The counter argument to this is that legislation could be drafted such that employees who work for companies with less than 50 employees do not have to pay into the fund. Support with an exemption for businesses with less than 25 employees but require the 1250 hours of work. The National Labor Relations Board (NLRB) declared in a rule that employers subject to its jurisdiction (which is most employers) would be guilty of an unfair labor practice if they did not post a “Notification of Employee Rights under the National Labor Relations Act” on their properties and on their websites. On May 7, the U.S. Court of Appeals for the D.C. Circuit held that the rule was invalid because the NLRB had no statutory authority to issue or enforce the rule. The NLRB has not indicated whether it will seek a review by the Supreme Court. Yesterday I received a very thoughtful letter from a restaurant owner regarding the cost of his workers compensation. He was seeing his workers compensation cost skyrocketing due to some questionable claims. He voiced his frustration that employers don’t seem to have any rights to question a claim and the system is such that it frequently is cheaper for the insurance company to just settle these claims. SB 863 will go a long way in cutting cost and already has had an impact on workers compensation increases. Christine Baker our good friend that heads up the Department of Industrial Relations has committed to doing everything she can reduce the cost drivers in the system.. This year SB 626 was introduced to unravel these reforms and Small Business California was at the forefront in opposition to the legislation which is dead this year. For those of you that have an experience modification I strongly suggest you ask your insurance broker how much your claims are costing you. You will be amazed as in many cases it is three times the cost of the claim. You should also ask what your experience modification would be with no claims. Make sure you ask your insurance broker to provide you with your experience modification worksheet done by the Workers Compensation Insurance Rating Bureau. Yesterday I sent a clarification saying that businesses with less than 50 employees do not have to offer dependent coverage to employees and that this would make them eligible for subsidies. The problem is when I use a $50000 annual household income the cost is the same whether the employer provides coverage for their employees or not. See below. At $60000 annual household income it goes up to $409 but would go down if covering children only but stays the same if covering just the two adults or two adults with children. Will this have any bearing on your decision to continuing to provide health insurance for your employees. The issue that you pointed out is one of the reasons the law states that, at least for businesses over 50, if you are offered dependent coverage those dependents can’t get a subsidy even if the cost of family coverage is unaffordable. If you’re right, there IS no real incentive for the employer to offer coverage to anyone other than higher-wage employees with small families. At the same time, though, it’s going to be difficult to design a system that will be legal, not disadvantage higher wage workers through not offering dependent coverage, and still allow for all of the low to mid-wage employees to go to the Exchange. Watch this video to see how the Bay Area Council is driving health system transformation toward affordability and better health for Californians. Please see email from Stephen Cornell. I hope you can attend Monday. In a previous email I said that under the Affordable Care Act all businesses that provide health insurance to employees would be required to offer coverage to dependents. Businesses however would not be required to provide insurance to dependents. The significance of this is that if an employer offers insurance to dependents the dependents would not be eligible for subsidies. Yesterday I received a call from Michael Lujan the head of the Small Business Health Insurance Options Program [SHOP] telling me that he has received information that businesses with less than 50 employees are not required to offer coverage to dependents and therefore employees dependents will be eligible for subsidies. This is a big deal because had employers been required to offer insurance to dependents, thereby loosing the benefit of the subsidies, the employer would in many cases be doing a disservice to their employees because the cost of the dependent coverage for the employee would exceed the cost of individual coverage for the employee and dependents. To get an idea of what the subsidies are go to www.coveredca.com and see calculator. Two awful bills are dead for this legislative session. AB626. This bill would have eliminated many of the reforms we worked so hard on last year. Small Business California put together a coalition of over 30 small business associations to help defeat this bill. AB1138. This bill was administrative nightmare for small businesses and insurance carriers. We are finalizing our opposition letter for AB 769 which would eliminate the tax credit for loss Carrybacks. We will be sending our association opposition letter out today with about 30 associations signing. Thank you to all that have signed and if you have not and want to add your association please let me know today.